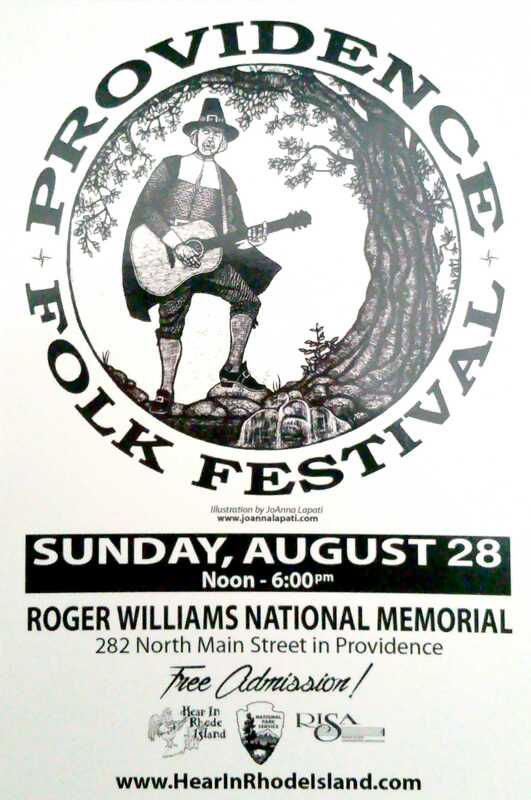 Check out two stages of acoustic-themed music during the 3rd annual Providence Folk Festival at Roger Williams National Memorial, 282 North Main Street. 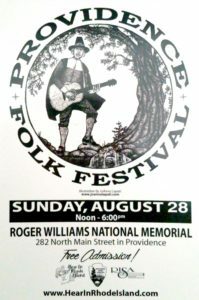 Held on Sunday, August 28th frm noon to 6 PM, the FREE festival is presented by Hear In Rhode Island, a nonprofit that has been in operation for more than 20 years. Relax on the lawn while listening to some of the best local folk, acoustic and singer-songwriter acts! On the main stage, watch Jen Chapin Trio, Abbie Gardner, Marc Douglas Berardo and Seatrail, Alec K. Redfearn, Horse Eyed Men, Warbler’s Roost, Rebirth, Cardboard Ox, and Dan Lilley & The Keepers (with Amy Bedard). On the Rhode Island Songwriters Association Stage, see Lisa Couto, Johnstone & Walcoff, Terry Kitchen, Dave Provost, Elad Vilk, and Allison Giuliano. Bring a blanket, lawn chairs, and a picnic, or buy food from the trucks on site: Paco’s Tacos and Rhodies Food Truck. In case of rain, the festival would move to Sunday, September 11th. Check the festival website and Facebook for updates!